It’s official. 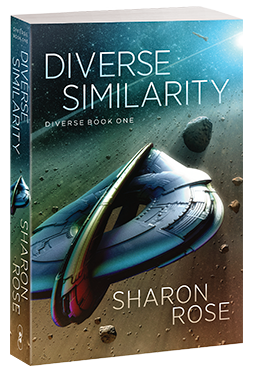 Diverse Similarity has released. You can read it today! What’s the name of that sleek ship? The Ontrevay. An investigation vessel sent to figure out an event that shouldn’t have been possible. Who is on it? Kena. She is light-hearted about everything except navigation. (Don’t mess that up!) Also, a crew of aliens. Some of them love Kena, some of them hate her, but none of them understand her. If you’re like me, you’ll flip that over to read the back cover. Click here to see what it says.